Built around dramatic interviews in four countries, filled with original scholarship, mesmerizing in its lyricism, A Guest at the Shooters' Banquet: My Grandfather's SS Past, My Jewish Family, A Search for the Truth is a history and family memoir like no other, documenting “the holocaust by bullets” with a remarkable quest as Gabis returns again and again to the country of her grandfather's birth to learn all she can about the man she thought she knew. 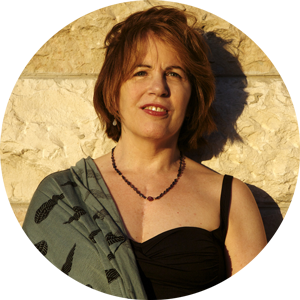 Rita Gabis comes from a family of Eastern European Jews and Lithuanian Catholics. She was close to her Catholic grandfather as a child and knew one version of his past: prior to immigration he had fought the Russians, whose brutal occupation of Lithuania destroyed thousands of lives before Hitler's army swept in. Five years ago, Gabis discovered an unthinkable dimension to her family story: from 1941 to 1943, her grandfather had been the chief of security police under the Gestapo in the Lithuanian town of Svencionys, near the killing field of Poligon, where eight thousand Jews were murdered over three days in the fall of 1941. In 1942, the local Polish population was also hunted down. Gabis felt compelled to find out the complicated truth of who her grandfather was and what he had done. Built around dramatic interviews in four countries, filled with original scholarship, mesmerizing in its lyricism, A Guest at the Shooters' Banquet is a history and family memoir like no other, documenting “the holocaust by bullets” with a remarkable quest as Gabis returns again and again to the country of her grandfather's birth to learn all she can about the man she thought she knew. …the book is a powerful consideration of what happens when reality contradicts our belief ‘that those we love or have loved are good. In this intricate and intimate journey Rita Gabis brings macrocosmic Holocaust horror into the microcosm of our dining rooms, kitchens, and bedrooms—a noble feat, one you will not soon forget. A Guest at the Shooters’ Banquet is Gabis’s gripping, psychologically acute account of her search for the truth about [her grandfather], a wrenching personal journey… Gabis’ resolute hunt and expressive prose really illuminate these years of anguish. Heartfelt...Gabis paints an engrossing portrait of the snake-pit of ethnic animosities in wartime Lithuania, and of the intimate horrors of the Holocaust. Maturing from childhood to adulthood means accepting a place in family stories. Checking treasured myths against historical facts is like a second coming of age, and one rarely achieved. This true-life Bildungsroman sets an example, in its honesty, industry, and artfulness, for writers who wish to confront the past. Gabis’ father is a Russian Jew and her mother is a Lithuanian Catholic. Although her parents were reticent in discussing their families’ European past, she knew that one grandmother was sent to a forced labor camp during WWII and that a grandfather fought against the Soviet occupation of Lithuania. Intrigued and disturbed by her recollections of occasional anti-Semitic remarks made by her grandfather, Gabis launched an effort to discover more about the wartime role played by this man whom she had loved. The result of her prolonged search is an intense, moving, and often horrifying memoir that reveals so much about both her grandfather and the attitudes of the general population in Lithuania during the Holocaust. 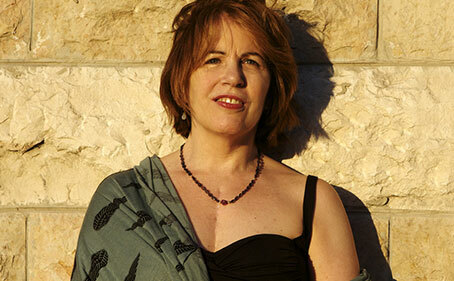 Gabis traveled to Israel and Europe to interview Holocaust survivors, her relatives, and non-Jews who witnessed some of the massacres perpetrated. In addition to the role played by her grandfather in these outrages, she recounts the indifference and sometimes enthusiasm of the local population as the mass murderers do their work. This is a deeply personal and important addition to Holocaust literature. The daughter of a Lithuanian Catholic mother and Russian Jewish father, Gabis (The Wild Field, 1994) brings her sensibility as a poet and indefatigable energy as a historian to this engrossing memoir. As she notes, the author’s family spoke little about their past. Gabis knew that her maternal grandparents had come to America after World War II; that her grandfather had fought bravely against Russian invaders; that her grandmother had been arrested and sent to labor camps. However, several years ago, she found out more: her grandfather had been a Nazi security chief in a town where at least two mass slaughters had occurred. Shocked, Gabis suddenly recalled anti-Semitic remarks he made as she was growing up. For the next several years, she became obsessed with one question: was the man she had loved a murderer? The author’s research involved repeated trips to Israel, Poland, and Lithuania, where she still has relatives. In each place, she interviewed Holocaust survivors whose persecution she recounts in moving detail; in Lithuania, she talked with witnesses to Russian and German occupations. Lithuania, she discovered, "as a country…is indistinguishable from the invaders, collaborators, ghosts, heroines, thieves, defenders, and healers it contains….It’s those who know nothing about what went on behind closed doors and those who stood by and watched, those who shrugged and walked away." The author also interviewed her aunts, whose stories were contradictory. Gabis petitioned for information from Lithuanian archives, discovered documents at the Holocaust Museum in Washington, D.C., and eventually amassed some 400 pages of archival material. Her journey was frequently interrupted by obstacles: emergency heart surgery that delayed a research trip; a destructive flood in her apartment that damaged documents; food poisoning; her husband’s illness. But the greatest obstacle proved to be the blurred, slippery past, which continually frustrated her. "If I didn’t unravel" her grandfather’s mystery, she thinks, "it would unravel me." An eloquent testimony to the war’s enduring, violent impact. 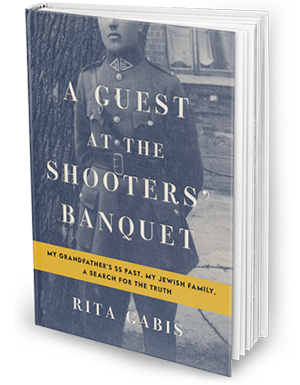 Rita Gabis is the author of two books of poetry, co-author of a book on writing, and A Guest at the Shooters' Banquet: My Grandfather's SS Past, My Jewish Family, A Search for the Truth, a recently published memoir from Bloomsbury US.